This morning I went for a hike to a somewhat random spot called Silver Basin, off Camp Bird Road near Ouray. I followed some snow-covered jeep roads through the forest to treeline, then straight-lined it up a steep tundra slope to a high ridgeline with a nice view of the south side of the Sneffels Range. It’s a good thing I got out this morning; now it’s pouring rain again down here in Seattle… uh, I mean Ouray. 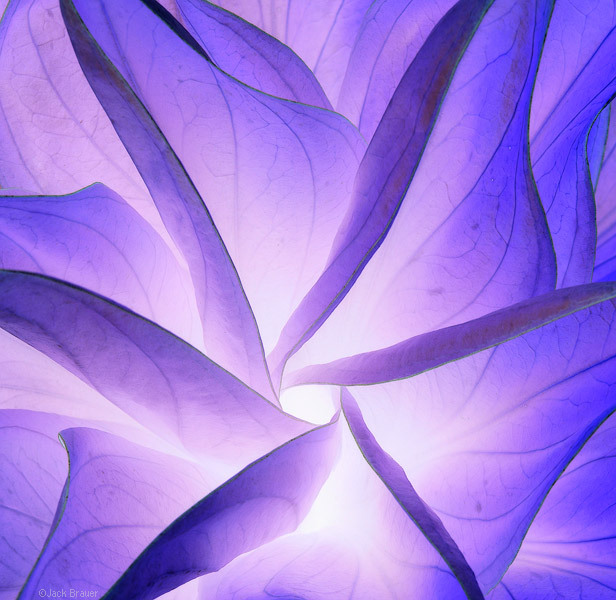 Illuminescent plant. It looks like a flower, but really it’s a green plant. I couldn’t resist inverting the colors in Photoshop! [+] Looking up the upper Camp Bird Road and the south side of the Sneffels Range. From left to right: Gilpin Peak, Mt. Sneffels, Cirque Mountain, Teakettle Mountain, and Potosi Peak. 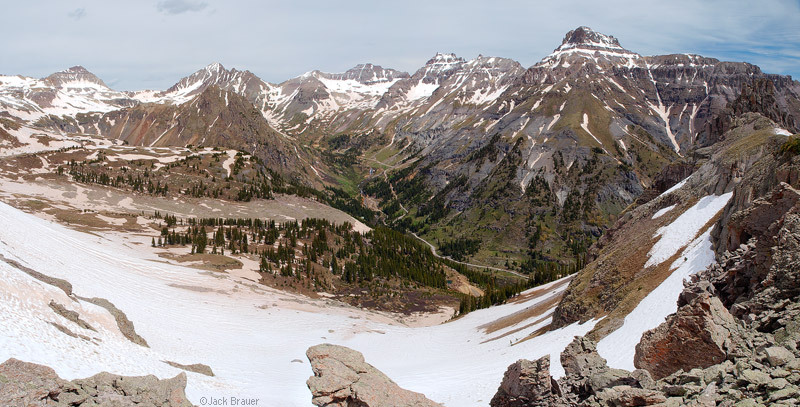 Posted in Colorado and tagged Colorado, San Juans on June 13, 2009 May 19, 2013 by Jack Brauer. ← Previous: "Same Place, Different Season"
Perhaps I should have named this post “Sydney Basin” since the photo indeed shows Sydney Basin (very observant, btw). But I did hike up through Silver Basin, and this shot was taken on a ridge between Silver and Sydney.